Healthcare organisation are increasing the adoption of patient handling equipment to avoid the injuries often caused by manual handling. Patient handling tasks includes transferring, lifting, and re-positioning (turning patients in bed, giving patients baths on the bed, patient dressings, etc.) Patient handling equipment include stretchers, I.V. poles and accessories, operating table pads, armboard pads, wheelchair, medical beds, and scooters. Stretchers, wheelchairs, and scooters are used for moving patients who require medical care. 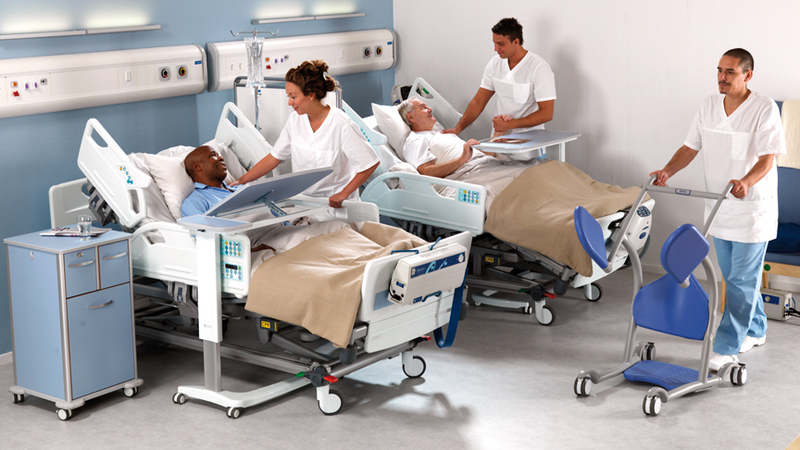 Medical beds allow patients to change position for comfort and provide a comfortable sleep environment. Patient handling comprises the lifting, lowering, holding, pushing, or pulling of patients. Patient handling equipment are mobility, disability, and rehabilitation equipment specifically designed to provide comfort and quality of sleep to hospitalised patients and cater to their other healthcare needs. These medical equipment provide flexibility and relaxation to the patient. The increasing prevalence of lifestyle diseases and the growing elderly population are the major driving factors for the patient handling equipment market in Europe. The patient handling equipment market in Europe is segmented based on the type of care, end user, product, and accessories. Based on the type of care, the market covers bariatric care, prevention from accidental falls, critical care, wound care, and others. Based on the type of product, the market comprises wheelchairs and scooters, medical beds, bathroom safety supplies, mechanical lifting equipment and non-mechanical lifting equipment, ambulatory aids, and others. The wheelchair segment is further subdivided into manual wheelchairs and powered wheelchairs. The medical beds segment includes curative care beds, psychiatric care beds, long-term care beds, and others. Based on the accessories, the market covers lifting accessories, transfer accessories, evacuation accessories, stretcher accessories, hospital-bed accessories, and others. Based on end users, the market comprises hospitals, nursing homes, clinics, elderly care facilities, home care facilities, academic research institutes, and others. The medical bed segment accounts for the largest share of the patient handling equipment market in Europe. The U.K. has the largest market for patient handling equipment in Europe, followed by Germany. This is due to increasing prevalence of lifestyle diseases, rising demand for patient handling equipment, and various initiatives taken by government programs to promote safe patient handling. Also, disabilities from noncommunicable diseases, a growing aging population, increased healthcare expenditure, and improved healthcare infrastructure support the growth of the patient handling equipment market in the U.K.
A growing geriatric population, the increasing prevalence of chronic diseases, technological advances, an increasing number of healthcare establishments, and demand for better healthcare services are major drivers for the patient handling equipment market in Europe. Moreover, an increasing number of hospitalisation cases, rising healthcare expenditure, and growing need for multi-functional and affordable medical equipment are other factors supporting the growth of the patient handling equipment market in Europe. However, a dearth of trained medical professionals to handle patients in critical condition obstructs the growth of the market. Increasing numbers of mergers and acquisitions, a rise in the number of collaborations and partnerships, and rapid product launches are some of the latest trends in the patient handling equipment market in Europe.